Discussion in 'One Piece News' started by Pacquiao8, Jun 23, 2018. Just to add, there was an announcement by editor Naito before that something exciting will be announced in the same month that will make the fans glad. Con D Oriano, Seiryu, miss_SMP and 3 others like this. 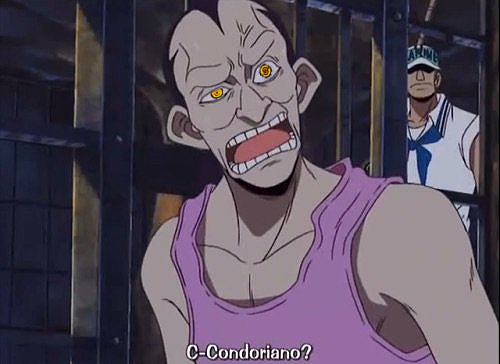 Condoriano will be making his re-debut as the next Fleet Admiral? General Zoro, Con D Oriano, miss_SMP and 3 others like this. I really don't want mange, so please refrain from giving it to me. But I'll take these new chapters! I'll even pay full price! You can just resell the mange and get more money that way. Maybe they'll reveal that Condoriano > Im. Behnam and Robin-Senpai Is The Best like this. All Anime and Robin-Senpai Is The Best like this. I am guessing sanji will put on his raid suitþ. General Zoro and Blacky Rose like this. Storm chaser and Behnam like this. Give Justice to Sanji San not raid suit. Back to the topic, what do you think will happen to Sanji? That would be a huge waste of time. Plus a perfectly well raid suit. He finally gets together with Nami? His marriage to Pudding was actually legit? He puts on the raid suit and accepts his Vinsmoke name? < - let's be honest this is less plausible than the Nami one. Thanks for sharing. So now we see the true plan for what was supposed to be the "year of Sanji". My mind jumps to one of two things: a power-up (the raid suit seems quite anti-climatic, so hopefully something else) or punishment for insubordination. Zoro is always the enforcer/voice of reason (his bias against Sanji will not help), but learning about Sanji going all out against Luffy is probably not going to stay a secret. It won't be as big as Usopp's insubordination, it probably has to be addressed. I lean towards the second one because, again, I believe Sanji will receive some "consequences" from Zoro and probably Usopp, and a small "conflict" from Sanji's issue and Jinbe's current situation (he should be with them if not because of Sanji's decision not to leave his family, and for saving Empress Big Mom from starvation).